Product prices and availability are accurate as of 2019-04-22 02:59:53 UTC and are subject to change. Any price and availability information displayed on http://www.amazon.com/ at the time of purchase will apply to the purchase of this product. We offer free shipping on all of our moldings! All moldings are factory prefinished to save you time and money. 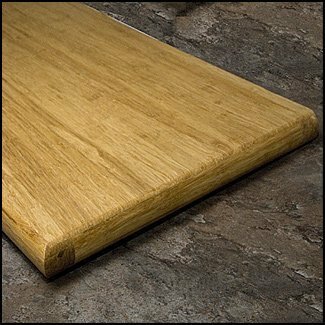 Strand bamboo (also known as stranded or strand woven) is one of the hardest natural moldings you can purchase anywhere. 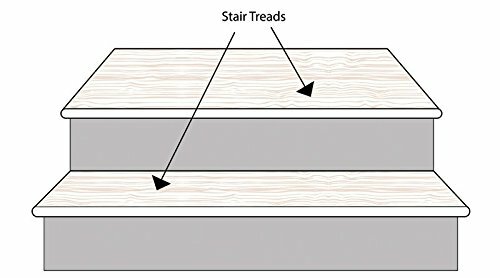 You are ordering a Natural Strand Bamboo Stair Tread that is 49" in length with returns. Please refer to the above diagrams for installation usage and other dimensions.